Walking is a very special way to visit and discover the hidden parts of Tuscany, a way to explore the pine, chestnut and oak covered hills, otherwise by-passed by tourists. It is a pleasure to wander through classic olive groves and vineyards, a long way from the main roads between the major Tuscan cities and towns. There are ever more popular walking paths, ‘sentieri’ that are being used by Italians and travellers from abroad, these are often centuries-old tracks or ‘strada bianca’, those wide tracks criss-crossing the landscapes so beloved by photographers. 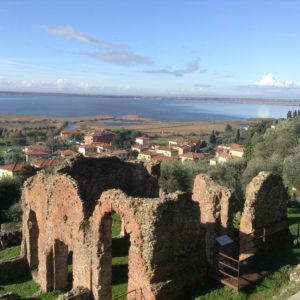 Thanks to the popular Via Francigena that we have written about before, walkers are discovering the many trails across the region. We have been exploring these areas very much over the past year and also wish to encourage our visitors here as Casa Verde to make the most of their stay in ‘Bel Paese’. 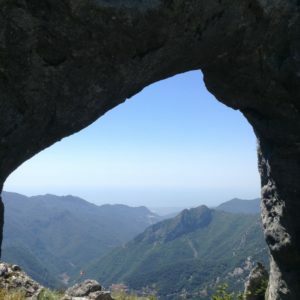 In the Alpi Apuani we have discovered the amazing and vertiginous rock arch on Monte Forato (1223m) with it’s spectacular view through the stone of the Versilia coast near to Viareggio. These mountains are very steep and rocky but offer landscapes as dramatic as any in Tuscany. 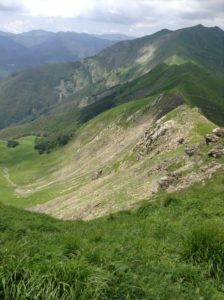 On the other side of the Garfagnana valley, above Castelnuovo is the highest peak entirely in Tuscany, called Monte Prado (Meadow Mountain 2053m) metres). It lives up to it’s name too Monte Prado because despite it’s height it is a quite gentle climb to the top and there is a large grassy mound from which you can view most of the three main ridges that make up the Appennine chain in this Northern area of the region. There on the top we met a number of different groups of walkers from all over the world, including a group who were walking some of the long distance mountain routes such as that which runs from near t0 Genoa to Umbria called the Grande Escursione Appenninica (GEA). There is always a lovely camaraderie that surrounds the meeting of people at the top of a mountain. You may never see another soul on the climb up or the saunter down the hill but there is always, it seems, someone else at the top, eating lunch, taking photographs and relaxing with the happy satisfaction that a stern challenge has been met. In winter the ski resorts of Abetone and Doganaccia have many visitors there for the white stuff and from Cutigliano there is a slightly scary funivia (cable care) that runs up to Doganaccia. 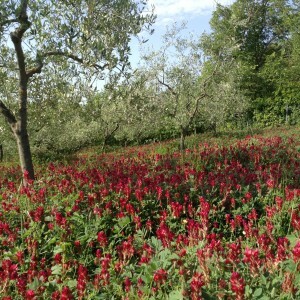 The resort lies just below the route ’00’ which is the ‘mainline’ footpath along the top of the Appenines. The route is well above the tree line here, hovering between 1500 and 2000 metres and much of it is a distinctive ridge that separates the region of Tuscany from Emilia Romagna and the province of Modena. The route from above Doganaccia along to Abetone is especially distinctive with a ridge of a few metres wide in places, and steep falls down either side into two very distinctive regions of Italy. These regions have very different vegetation, trees, climate and landscapes. The trick is not to fall down either side and explore the greenery too closely! Always choose a summer day when the temperature below may be 35 degrees and the temperature above is a refreshing 21, and the air is still and clear with views over the roof top of Central Italy. The view here along the ridge has it’s highest peak (seen in the top right of the picture at Monte Libro Aperto….Mount Open Book) so named because of it’s double peaked top. 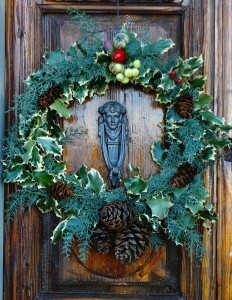 So many possibilities at all times of the year for walkers and those that want a bit of Tuscany all to themselves ….with a little effort and a packed lunch of course.